1/56th scale hard plastic made for 28mm gaming. Designed by Michael Perry, fences by Tim Adcock. The building represents a weather board North American cabin or Farmhouse. It’s loosely based on Meade’s headquarters during the battle of Gettysburg in 1863 and similar buildings. The style and construction means that can be used from 1750-1900...and beyond. 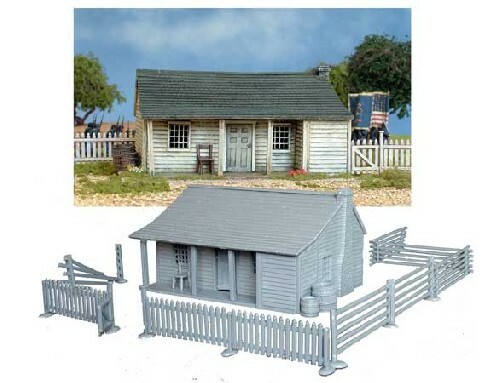 Box includes 1 building kit, 66cm of fencing and accessories.